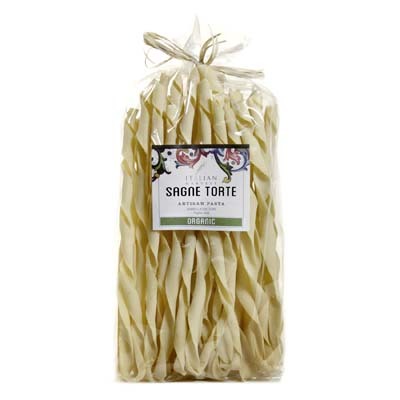 These Sagne Torte Twisted Handmade Strips are organic, handmade, and is perfect for a variety of yummy sauces. This bag of wide flat ribbon pasta is from Marella, a pasta maker in the Puglia region. No, just how do they manage to make these delectable ribbon pastas? First, they make the dough and knead it. Then, they cut the dough. Next, they stretch out each dough by hand to give each twisted ribbon pasta its shape. Last, they dry them on racks. Ecco! You get this scrumptious pasta shape. How to use them? Serve them with simple cream or tomato sauces, or with some savory meat sauce. Can’t wait to try out this type of pasta? Grab a bag now!